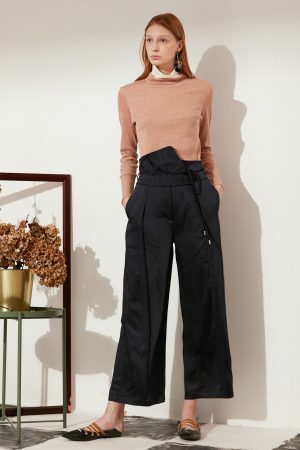 Sitting high at the natural waist, our Wide Leg Wool Pants is an everyday essential with an elevated, refined silhouette. Made with a medium weight wool blend that has luxurious body and weight. I love these pants — they are the perfect balance of casual comfort and work-appropriate attire. I can wear them and have full range of motion without having to resort to sweat pants or leggings. The fabric is hard-wearing but not stiff, and I love having real pockets on women’s pants! The construction is considerably better than fast fashion brands, the stitching is reinforced where it needs to be and the seams are all holding up to my enthusiastic wear. These are my first skye pants and I have to say they are truly amazing! The cut and the material is very flattering and can be paired with almost anything. I dress them up for work and love how comfy it feels with the silky lining. I have similar ones from Vince but they are unlined and can get quite scratchy. Pairs well with my cashmere turtleneck, ankle boots and tweed blazer. I do like that they are very high waist, which makes me look a lot taller than I really am. Ok, so I’m someone who’s always cold. I hate that all everyone sell nowadays is thin polyester pants that are supposed to keep you warm in winter. Well they don’t, at least not for me. I’m very glad to have found these pants. They fit me pretty well and is not too long for someone who’s at average height. I also got them in black. Will be heavily rotating them until weather finally warms up. I’m quite tall (5’10”). 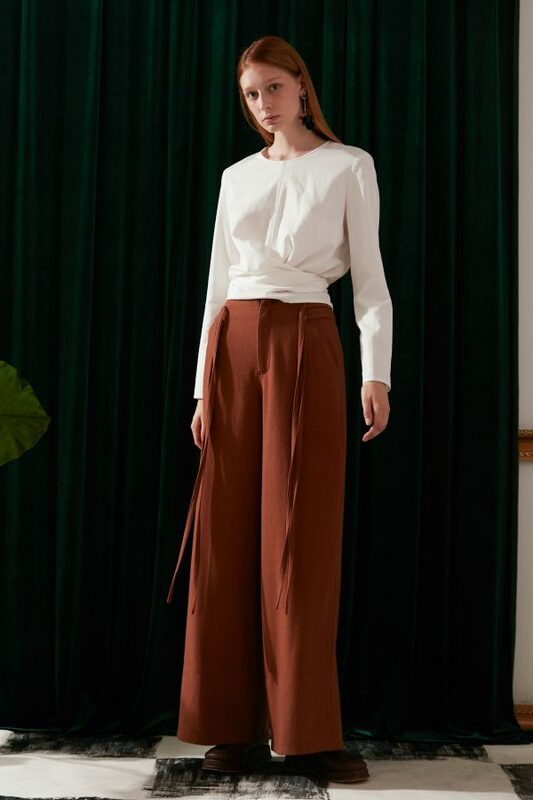 I got these pants thinking it’d be ok since the model is said to be 5’9″. Well they are too short for me. Unfortunately it’s not really a style that looks great cropped so I had to return them. At least the return process was easy (thanks Chloe). In the mean time I will check out the other styles that are offered. These pants came super quick! Placed the order last Wednesday and got them on Monday. A great addition to my otherwise white, grey and black wardrobe. I used to wear skinny jeans with a pair of leggings underneath for warmth in winter. Overtime the occlusive nature of polyester leggings caused skin irritations and exacerbated my eczema. Cotton and linen are great but they don’t keep me warm in winter. I’m very glad I found these pants. I wasn’t sure if the wool would irritate me but am pleasantly surprised that they are fully lined with a silky fabric. Since the cut is wide, it allows my skin to breathe but at the same time it kept me much warmer than a pair of jeans would. I just got them in the other color as well. They are a great find! Love these pants. Fully lined and doesn’t scratch. Beautifully rich, brown color that is more fun than black but is easy to wear and never goes out of style. A great investment piece.